For the past three years I’ve put in some considerable time hunting coyotes with my brother Travis and good friend Matt Piippo. We’ve had a lot of great days and made a lifetime of memories, but the best part about those years is how much I’ve learned about coyotes. To be a successful hunter you absolutely need to learn what makes the animal tick that you are hunting. Learning their movements and habits, what animals they prey on and at what times of year, how and when they move, and what kinds of calls they respond to has given me a great appreciation for the coyote. With that said they are an animal that needs constant management. The coyote is the one animal that has actually expanded its range here in the U.S. since man has been around. It’s highly adaptable and extremely smart. Because of that the coyote can become a burden on the landscape if their numbers outweigh the carrying capacity of the land that their home range covers. 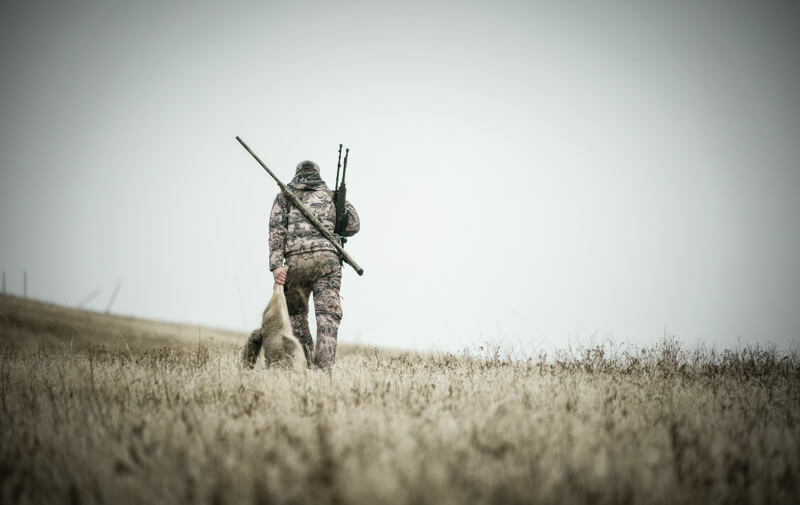 In the fall of 2014 we decided we wanted to give some perspective on why we hunt coyotes. We had spent a lot of time hunting on some large ranches around the state where coyotes had grown in numbers and now were causing trouble. Like anything, a few bad apples can ruin the whole bunch and once a coyote starts to prey exclusively on livestock or wildlife it can be a big problem. 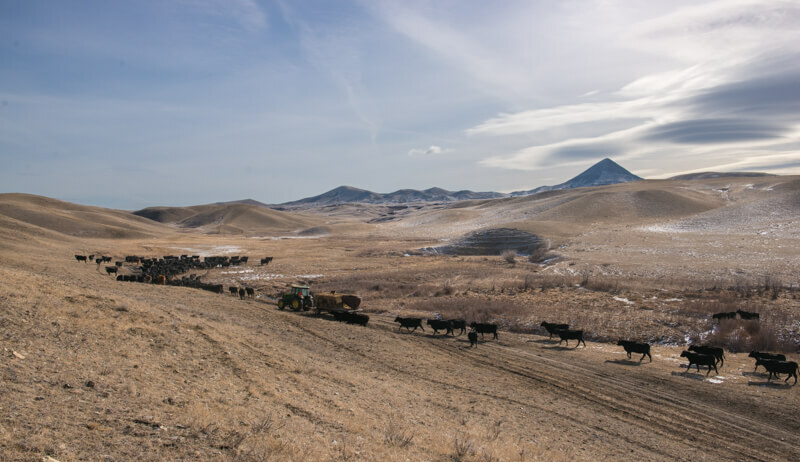 Talking and interacting with local ranchers gave us some valuable insight into more of what really goes on in rural Montana. Based off those interactions we wanted to make a film that would showcase some of these individuals so that a bit more education could be given on the lifestyles these ranchers live but also the daily issues they have to cope with to make a living. In mainstream coyote hunting media we often only see the hunt and the focus is on how many coyotes can be stacked up. While we all hope for a successful hunt there is more to why we choose to go hunt coyotes. Tooth & Fang takes a closer look at why the management of coyotes is necessary across the West. Filmed over the course of three years this film showcases some perspective as to why we hunt coyotes and why achieving a balance is important on so many levels. During the filming of the hunt we utilized two main rifles. One was a Snowy Mountain Rifles 6XC and the other an Armalite AR15. The 6XC is a custom caliber that allowed us to extend our range in areas where little cover often kept us more exposed than we’d like to be. In the more broken country we often set out with the AR15 shooting Hunting Shack’s 55 grain V-max ammunition. This bullet proved to have great knockdown power and was fur friendly. If this film gets you fired up to head out into the field to chase coyotes please take a look through The Hunting Shack’s ammunition offerings and read a great blog post about proper bullet placement when hunting coyotes HERE.